Since the early days, Jerry Lewis – in the line of Chaplin, Keaton and Laurel – had the masses laughing with his visual gags, pantomime sketches and signature slapstick humor. Yet Lewis was far more than just a clown. He was also a groundbreaking filmmaker whose unquenchable curiosity led him to write, produce, stage and direct many of the films he appeared in, resulting in such adored classics as The Bellboy, The Ladies Man, The Errand Boy, and The Nutty Professor. By becoming a “total filmmaker,” Lewis surpassed expectations as a comic performer and emerged as a driving force in Hollywood. He broke boundaries with his technical innovations, unique voice and keen visual eye, even garnering respect and praise overseas. However, American critics and the cultural elite tended to reject his abrasive art. 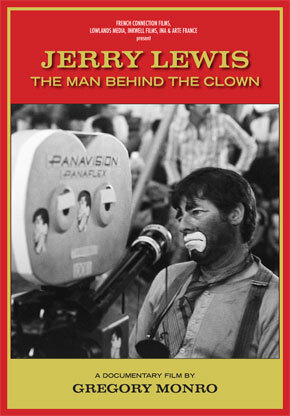 While they viewed Lewis as nothing more than just a clown, others like the French recognized him as a true auteur, giving rise to questions that have perplexed American pop culture for over 50 years: Why do Europeans love Jerry Lewis? What is this inexplicable aversion Americans have towards him? Is he just a brash, anything-for-yuk buffoon? Or is he a creative genius? Who is the man behind the clown? Featuring Interviews with Martin Scorsese, Sean Hayes, Tony Lewis, Pierre Etaix, Jonathan Rosenbaum, Rae Beth Gordon, Ted Okuda, Shaun Micallef. With appearances by Jean-Luc Godard, Louis Malle, Robert Benayoun and more. The closing of the The Cafe Edison (aka The Polish Tea Room), the Broadway diner immortalized in Neil Simon’s 45 Seconds from Broadway, is not just a story about another famous show business haunt shutting its doors, it is the fading away of a piece of an America past. Nestled between shops in a residential neighborhood in French Montreal lies a quiet brownstone building—an old converted house with a wood fired oven in the back.